A set of creative courses and programmes to help leaders and leadership teams rethink their role, gain new skills and learn how to unite their organisations to navigate future challenges and be effective in Industry 4.0. 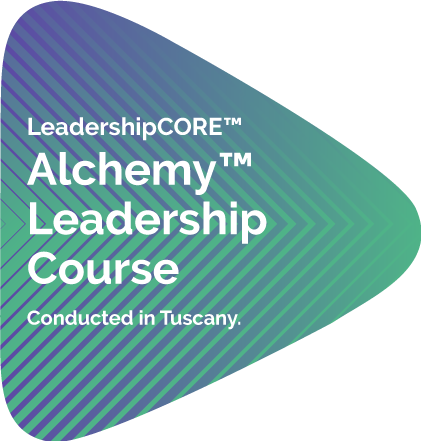 5-day experiential course in Tuscany, Italy for global professionals and leaders serving in private and public sectors. 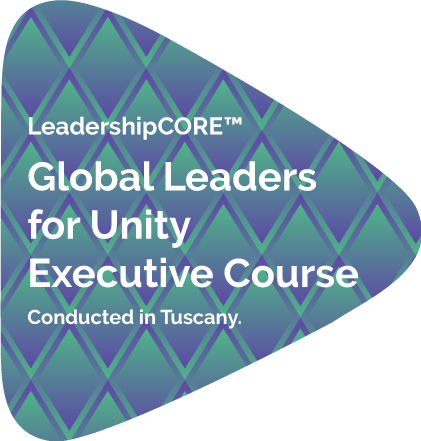 4-day leadership course for a leadership team of 10-15 persons to learn new perspectives in business and creative approaches from the premise of unity. Custom-build an internal corporate leadership programme for your needs. According to the World Economic Forum, by 2022 the top skills needed for jobs of the future will be analytical thinking and innovation, active learning and learning strategies, creativity, originality, and initiative. The HERO leadership competency model we use for GLUEC equips leaders with these skills, and provides a leadership approach that will help them shape the future. This is about the personal virtues, values, and character strengths that one possesses which inform decisions and actions. This is about the mental capacity and capability to learn new information, think critically, embrace diversity of thought, and apply knowledge to real situations. This is about one’s physical presence, habits and emotions, It also includes how one relates to people and is aware of one’s own presence and that of others. This includes all the capabilities that are needed for functional leadership, such as creating a vision, developing followership, planning, directing, and executing to achieve results. Our courses and programmes adopt a creative thinking and experiential approach to engage and bring out the best in each leader. We first help leaders see their current state and where is the opportunity to take the leap. What is the current level of experience and capability of the leader, or of the leadership team? We then help them to relate to the context, persons and how to find ways to interact better. What is the desired future state? What will it look like when progress has been achieved? How can a leadership team move forward together with new strength and high performance? We then help leaders understand new perspectives of building teams for sustained success today. Regardless of the development program offered, what will it take for learning and development to occur? What experiences and practice must the leader have to be able to grow and implement new leadership skills? How will he or she measure the results? This is the stage in which Transformation occurs. Finally we provide a framework to help leaders define the existential purpose for themselves and their teams on the way forward. The Global Leadership Development Program seeks to transform leaders for the future. Based on the Leadership CORE™ model and methodology, the programs are provided through a collaboration of the Consulus consulting team and Sophia Global Study Centre. These programs are specifically designed to address the uncertainties, social divisions, and growing economic inequalities that leaders in this age of disruption and the fourth industrial revolution need to be prepared to navigate and impact. Designed to deal with three challenges at the management level: 1.. Lack of trust 2. Lack of vision for the future 3. Lack of a shared method to shape the future This is the first program to combine business and creative approaches under the premise of unity. It starts by helping leaders see their business model with new eyes. It seeks to strengthen relationships so as to shape a multi-disciplinary form of strategic thinking. 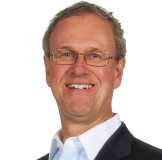 Jim Funk, Global Head of Leadership Transformation at Consulus, is a recognized expert in leadership development. With over 30 years of experience, including an executive role in a large healthcare organization in the U.S., Jim has personally coached senior leaders, physicians and professional contributors in a variety of roles. He has designed and delivered leadership formation and development programs for senior leaders across the U.S. to strengthen and transform them to be at their best and achieve superior results.